Celebrating the coming of Jesus with children helps us approach the season with fresh eyes and insight. Our children present us with a challenge and an opportunity. They soak up the values of the culture that has had them anticipating Christmas since the beginning of November, but we have the opportunity to introduce them to the timeless rituals celebrating the coming of the Messiah that will add depth to their spiritual lives. 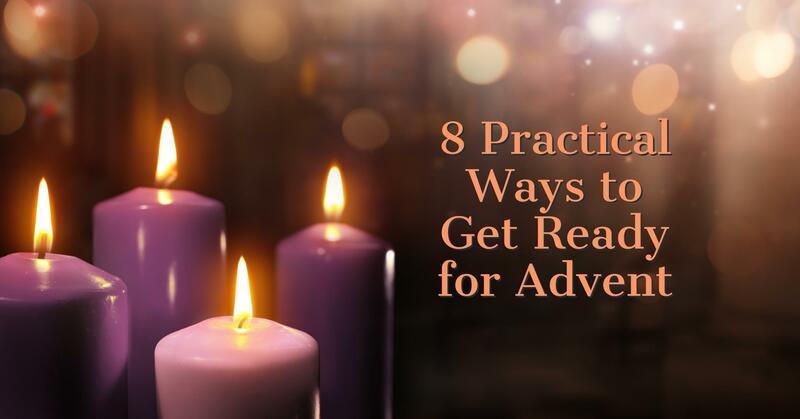 Are you ready for Advent? Here’s a checklist of eight Advent practices you can do with your family, plus a list of important feasts and holidays during Advent. ​Remember, you don’t have to do it all—just choose a few practices to focus on, and see whether they work for your family. Make an Advent wreath and place it in the middle of the dining room table. An Advent wreath consists of a frame holding four candles placed inside a circle of evergreens. The greenery in the wreath symbolizes the promised new life in Jesus. The four candles denote the four Sundays of Advent. There are three purple candles and one rose candle. Purple is a sign of penance, and rose is the color denoting the anticipation of joy. Light a candle on each Sunday evening of Advent, saying a short prayer or singing a verse of “O Come, O Come Emmanuel.” The light of the candles represents the light coming into the world as we prepare to celebrate Jesus' birth. There is a long tradition in Christian art of depicting the Jesse Tree, a symbolic tree or vine with spreading branches on which there are images depicting the genealogy of Jesus. There are several variations of the Jesse Tree. In one variation, each ornament has a picture on one side and a Scripture passage on the other. An ornament is hung on the tree every day during Advent. Find more Jesse Tree Ideas on our "Seasons" page. With the celebration of Advent each year, everything old can be new again. Each year gives ourselves and our family an opportunity to remember and anticipate the celebration of the birth of Jesus on Christmas morning. It is too early for the manger scene, but not too early to begin to make one with your children.